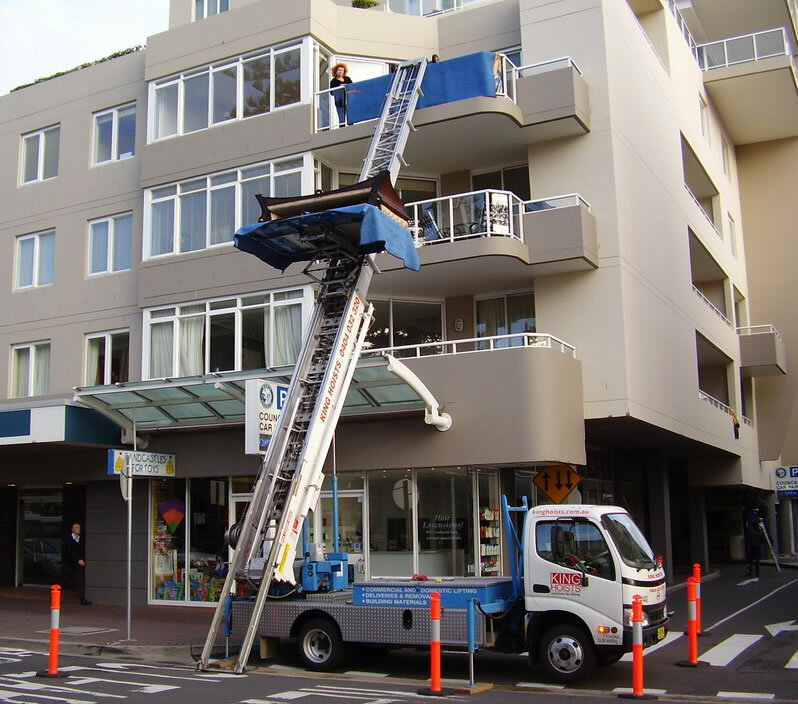 We lift 300 kg up to 33 metres (approximately a 10th floor), to your window or balcony or roof. The truck-mounted inclined hoist (ladder hoist) is ideal for whole removals, deliveries of large items such as sofas, building materials and appliances. It has been used successfully to lift seven-metre lengths of roof sheeting up to a roof and all lengths of plasterboard, as well as benchtops, glass splashbacks, cabinets, glass, windows and many other items. 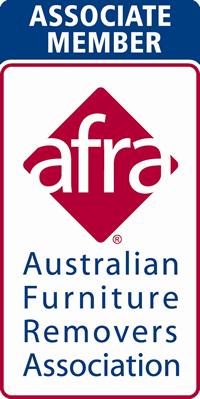 Using the ladder hoist (also called a furniture lift) is fast, safe and efficient, with considerable savings in labour. There is less handling as loads go directly from the street to the upper floor. It saves on the back-breaking work involved in lifting heavy or bulky or multiple loads up and down stairs. A further advantage in lifting on the outside of the building is that less damage is done to the items being moved as well as to the internal corridors, stairwells and lifts. In addition, larger sheets of building materials such as plasterboard and plywood can be passed up safely and efficiently. There is no need to order smaller sheets to fit through narrow doors, lifts and stair wells. This means additional savings in construction time as fewer joins are necessary. There are health and safety advantages to working with the ladder hoist. Loads are lifted square-on rather than around awkward corners up stairs, hopefully resulting in fewer back injuries and less employee sick leave. The ladder hoist is a far safer way of moving furniture externally, particularly when compared with the practice of hoisting using straps or ropes. With the ladder hoist there is less pressure (and the pressure is inwards, not outwards) on the balcony railing and no need for persons to lean out over the railing – once the goods are at balcony level, the ladder hoist’s platform slides over the top of the railing into the balcony area, making it very safe and easy to load and unload. For further information, please go to our FAQs page.